Our RVs can take us anywhere. But less than perfect road conditions, continuous use, and other environmental factors can cause roof and vent leaks. An RV roof leak can be a nuisance; in some cases it can pose serious risks to other components in the vehicle. When deciding which repair products will work best, consider Eternabond RV Leak Repair. Eternabond has a reputation for developing best leak repair products on the market. Vents and skylights are great for air circulation and offer the opportunity for additional natural light throughout the vehicle. When installing these it is important to get the job done right the first time. But even when installed correctly, overtime these welcome additions can become a serious hassle due to excessive leaking. The Eternabond 60007 StickNBond Roof Vent Installation Kit works great for vent and small skylight installation. This kit installs your vents using a simple peal and stick method; effectively eliminating the mess that sometimes occurs when applying regular sealant with a paint brush. This kit is field tested by the best RV manufacturers in the business, and has UV coatings within the sealant to resist breakdown for over 19 years. 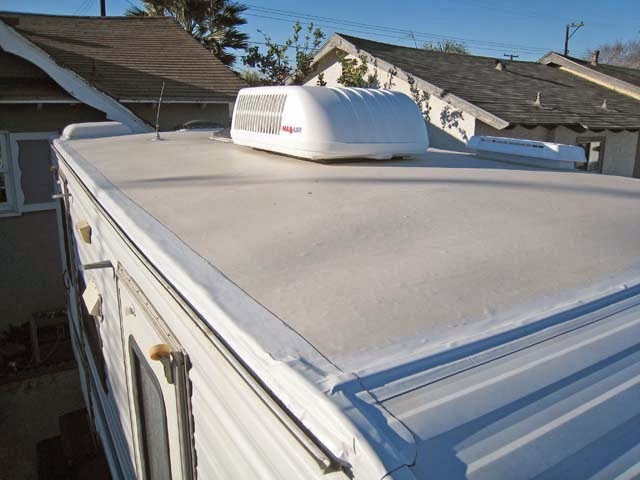 Just like all the major components in your RV, your roof seams require maintenance. Each year your roof seems should be checked and resealed to prevent cracks that can cause leaks. Eternabond RST Roofseal Tape comes in a variety of colors to match your RV. Eternabond uses their patented primer-seal technology to make installing this permanent sealing tape a breeze. Simply clean the area of any rust, dust, or other contaminants using a suitable prep solution and install the tape. This tape is designed to withstand temperatures from -20 to 250 degrees F. The special UV coating has been field tested to last for over 19 years without breaking down. For more information on Eternabond Leak Repair products, please visit RV Upgrades.com. We offer a huge selection of RV accessories and repair products perfect for getting - and keeping - your RV on the road this season.